Kevin O’Connor marked his return to Cork City in style on Saturday. 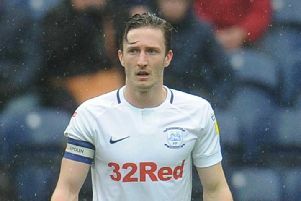 The Preston North End left back is back in the League of Ireland on loan until at least the end of the season. The move was confirmed on Friday with O’Connor then firing home a 25-yard free-kick in the 2-1 defeat to Dundalk in the President’s Cup on Saturday. Speaking the media afterwards, the 23-year-old insisted has not given up on a career in England despite falling down the pecking order at Deepdale and struggling for game time during loan spells at Fleetwood Town and Crewe Alexandra. “I went over and gave it a good shot but by no means am I done over there. “Cork is where I enjoyed my football most. Once they came calling, it was hard to turn down. “It didn’t go well really at Crewe. I knew I was happy here. I love the city so it was an easy call after that. “I’ll definitely be here until June anyway. Hopefully all goes well and we’ll see from there then. It was O’Connor’s first game for Cork since 2017, the left-footer having left Leeside for Deepdale alongside Sean Maguire. He is contracted with PNE until the summer of 2020 but has made just nine appearances for the club. Elsewhere on the loan front, Graham Burke played the full 90 minutes as Gillingham went down 4-1 at home to Barnsley. Also in League One, Chris Maxwell’s wait for a Charlton debut goes on as he was on the bench for their 1-1 draw at home to Southend. Academy product Dillon Phillips remains the Addicks’ No.1 and has played the last six matches, conceding three goals. In League Two Ben Pringle was part of the Tranmere Rovers midfield for their 2-0 win over Stevenage. Further down the pyramid young defender Tom Stead completed a loan move to Kendal Town in the Evo-Stik West Division on Friday and played 24 hours later in their 4-2 win at Market Drayton Town. Over in Holland, Marnick Vermijl scored in MVV Maastricht’s 3-1 win at TOP Oss on Friday night.